Is it too early to start talking about Christmas?! Yes, I’ve said it. And I will gloriously repeat it: Mandorlato Veneto! What touch shall I add to the Christmas table this year to make it different to the last? What is the perfect stocking filler for friends, family and business contacts alike? What will really set me apart in the Secret Santa gift exchange at work? I am so over panettone, this Christmas I wonder what shall I replace it with? 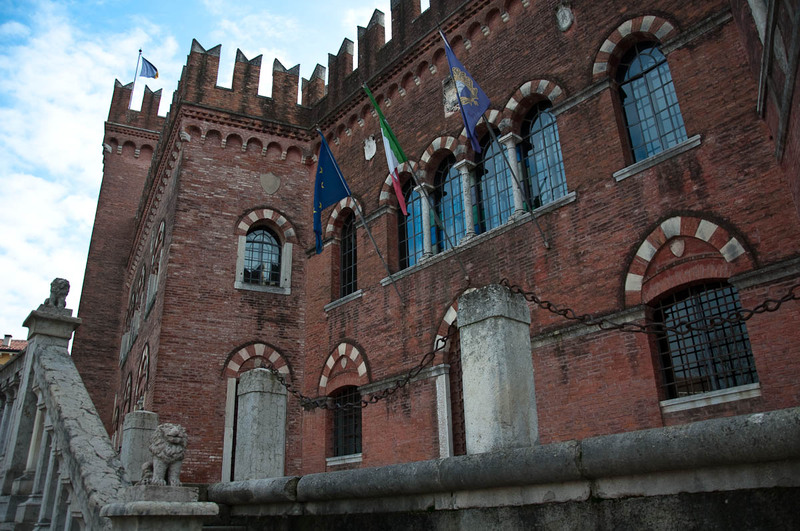 And I am going to tell you again: Mandorlato Veneto! 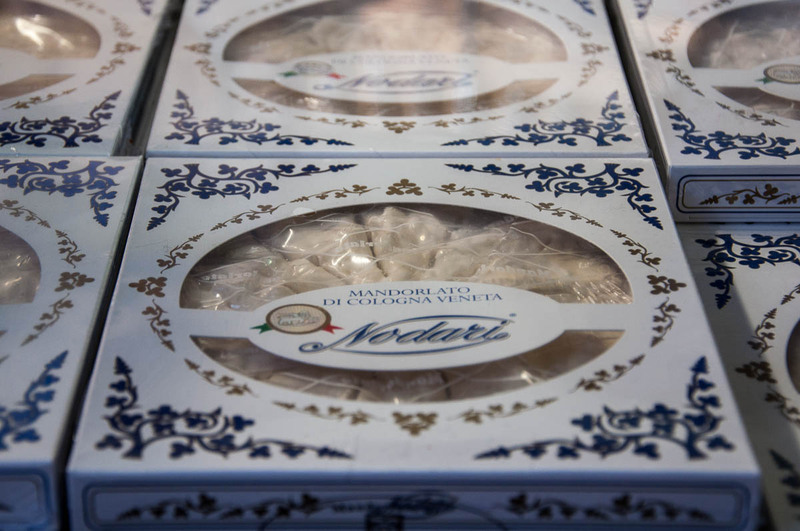 Mandorlato is a type of nougat from the Northern Italian region of Veneto. It is made with only four ingredients following an exacting technology and it has been gracing first the Venetian and then the Italian Christmas table for hundreds of years now. It is very flavoursome and very satisfying to eat. You put a small piece of almond-studded mandorlato in your mouth and let it melt slowly on your tongue. Once the hard shell made of honey, sugar and egg whites dissipates in a sweet cloud, you are left with slightly roasted almonds which you crunch to crumbs. The combination of different textures (melting and crunching) works really well. You almost feel like you are eating it with a purpose. So, before you know it, you have popped a second piece of mandorlato in your mouth. The proportions for the perfect mandorlato work something like this: 1 kg of large fresh almonds, two egg whites whisked till stiff, 300 gr honey and 300 gr sugar. It takes hours of dedicated stirring, roasting, and mixing to create the perfect bar of mandorlato sandwiched between two thin sheets of rice paper. So, instead of wasting time over the kitchen stove, you can do the smart thing and buy all your mandorlato from a small town in the Veneto. 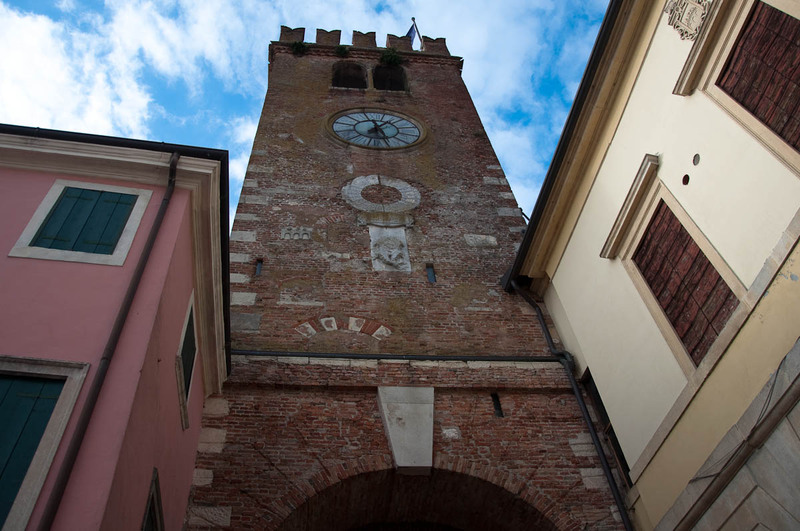 Called Cologna Veneta, it started the mandorlato craze in earnest back in the middle of the 19th century. 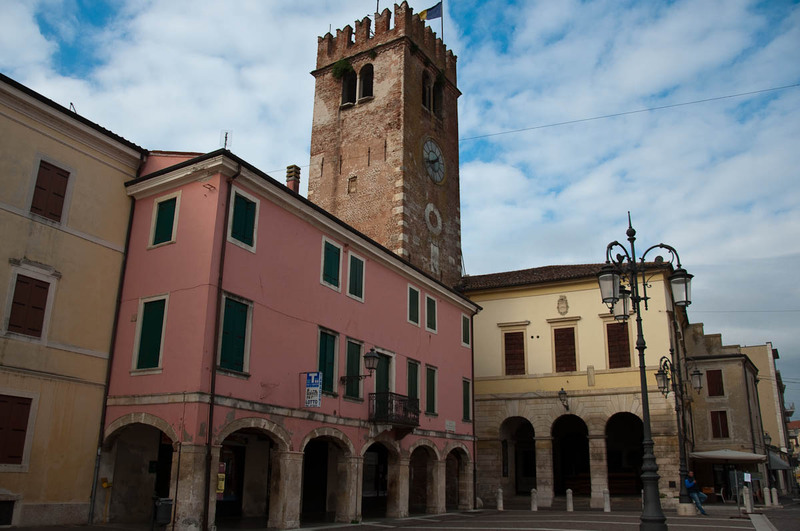 You will find Cologna Veneta just over half an hour drive away from Vicenza and 45 mins away from Verona. It is cute, small and sleepy with everything there closing completely for the traditional afternoon riposo. 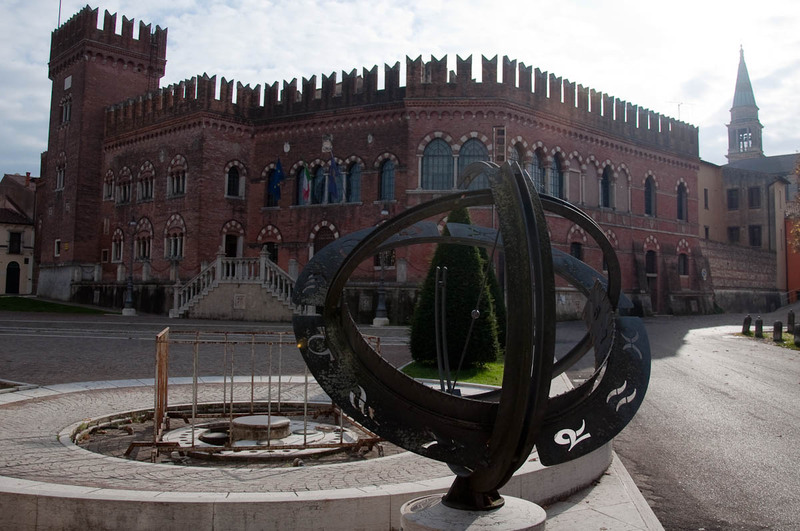 Yet, it is also an ancient place which had been populated initially by the old tribes of Italy at least 1000 years BC. 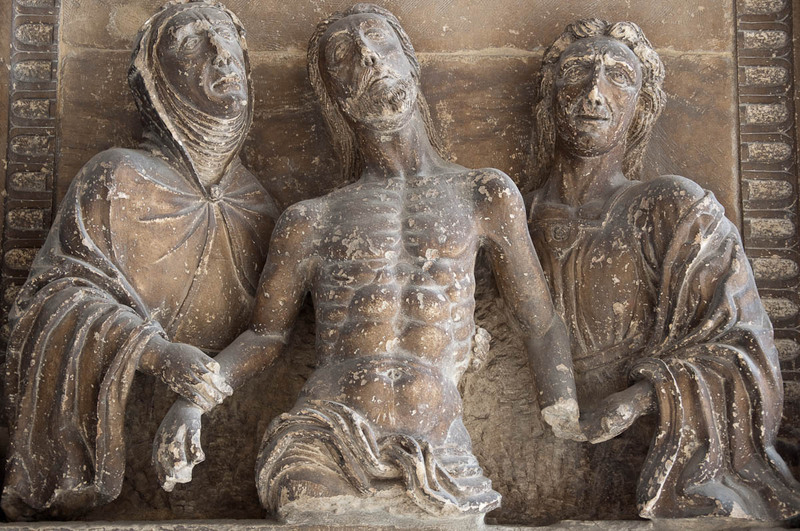 The Romans also left their mark there. 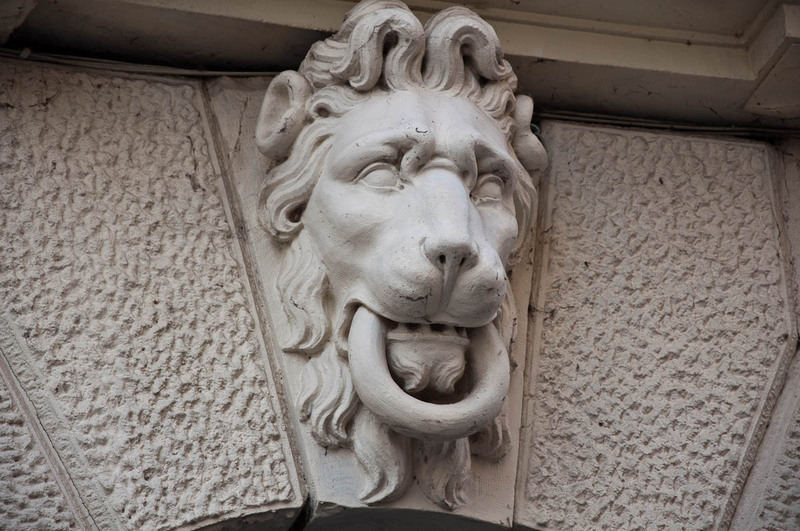 In the 7th century Cologna Veneta became part of the Duchy of Vicenza and then in the 15th century was added to the lands of Venice (as the multiple stone lions around the historical centre testify to this day). and a thick medieval quite well-preserved defensive wall. 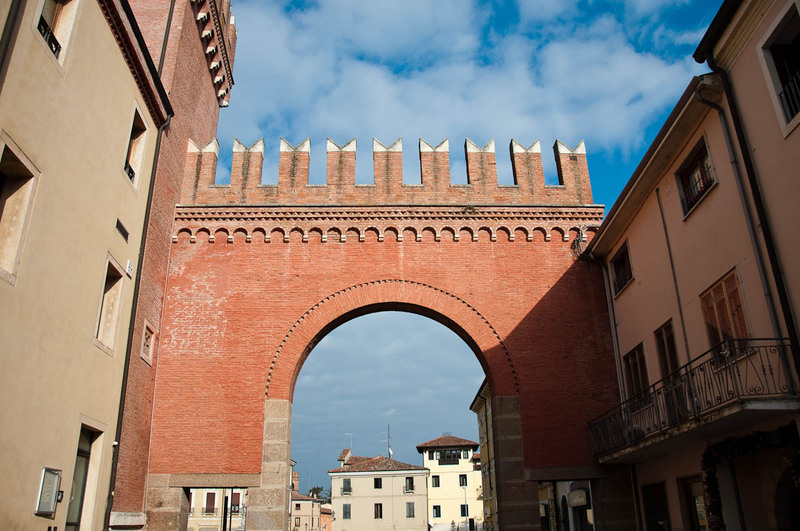 When you see that the wall’s Porta Nuova (New Gate, also known as Porta dei Cappuccini) was built in 1602 (just imagine how much older the Old Gate must have been), you come to realise that this is a place with deep-running traditions and rich history. 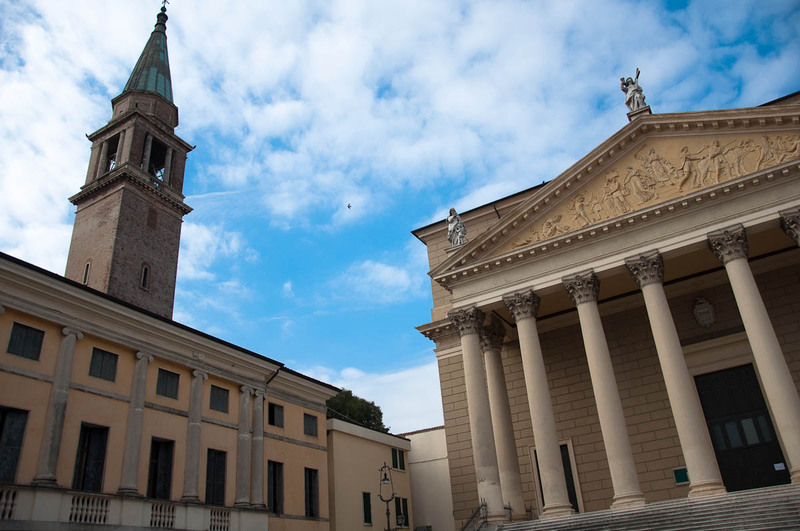 Yet, what puts Cologna Veneta firmly on the contemporary map is its mandorlato. 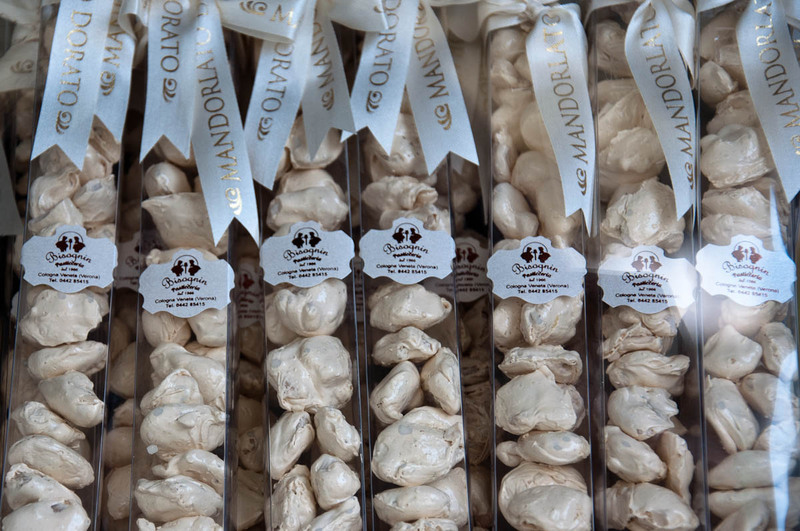 The hard nougat made of honey, sugar, egg whites and almonds (mandorle in Italian). 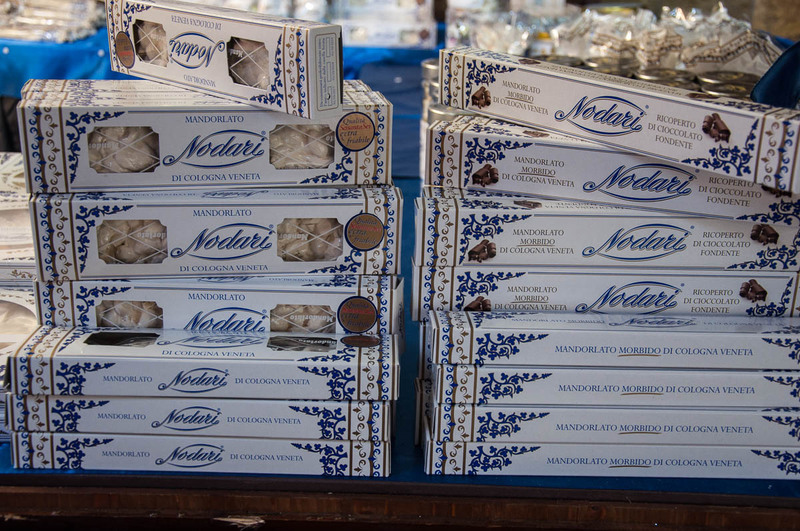 Obviously, there are many types of nougat all over the world, but the mandorlato of Cologna Veneta stands out among them all for its complicated preparation process which calls for adding the four ingredients in a specific order, mixing them by hand over very slow heat for long periods of time and then letting them relax and fuse for hours. Plus (and unlike the Spanish turrón), the mandorlato is always hard and only uses almonds – the biggest and the sweetest ones – and never other nuts such as hazelnuts. 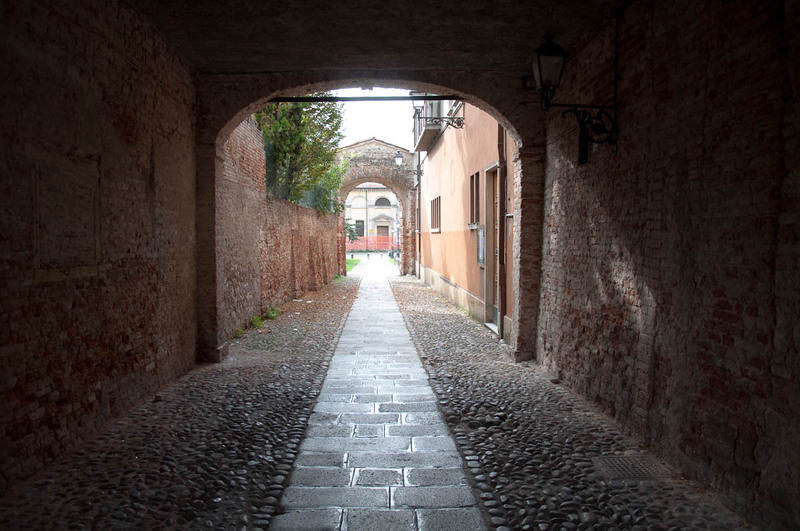 There are historical references to mandorlato going back as far as 1540 and 1564. Even at those times, it was considered a Christmas sweet. 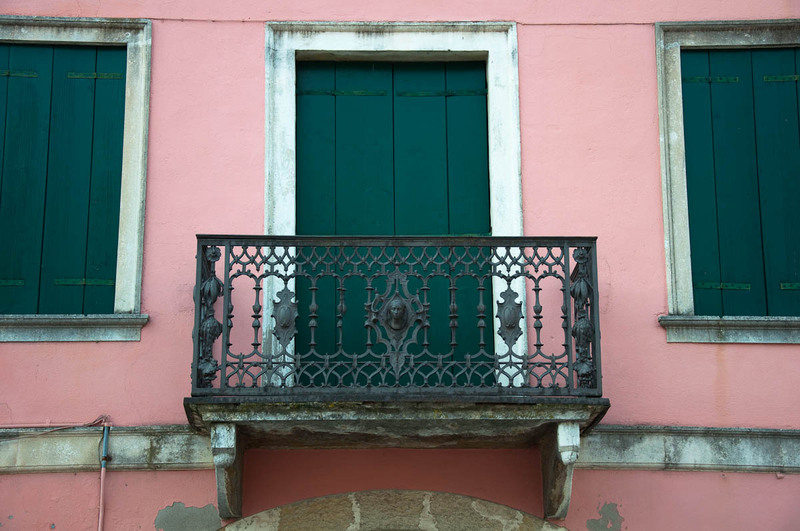 The mandorlato, as we know it today, was first prepared by one Italo Marani – a pharmacist from Cologna Veneta – in 1852. Apparently, he followed the recipe of his friend the pharmacist Antonio Finco (1798-1880) which he had invented and perfected a few years prior to that. Initially, Italo would sell his mandorlato at his pharmacy. It soon became so popular that from a local artisanal item a whole industry sprang around it. There is even a letter from 1905 confirming that the Pope Pius X had tasted it himself. Nowadays, there are several brands making it, with the brand ‘Marani’ started by Italo still going strong. Traditionally, the production of mandorlato is seasonal from September to December and it uses the newly harvested almonds. You can keep the sweet for a year (if you can resist! ), as long as you safeguard it from light and heat. 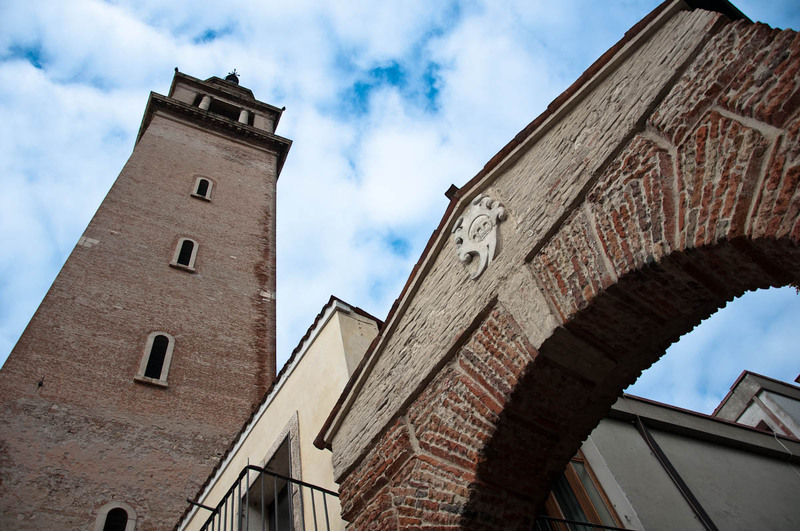 Cologna Veneta is so proud of its top export, that on the 8th December each year a large festival of the mandorlato takes place in town with the participation of all local mandorlato brands. 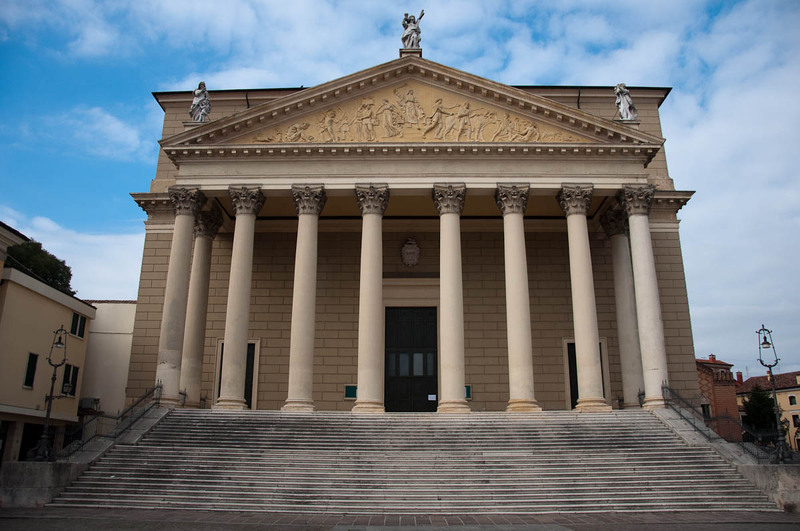 I am planning to finally visit the festival this year, after spending the last three Christmas seasons here in Italy nibbling on mandorlato all day long. 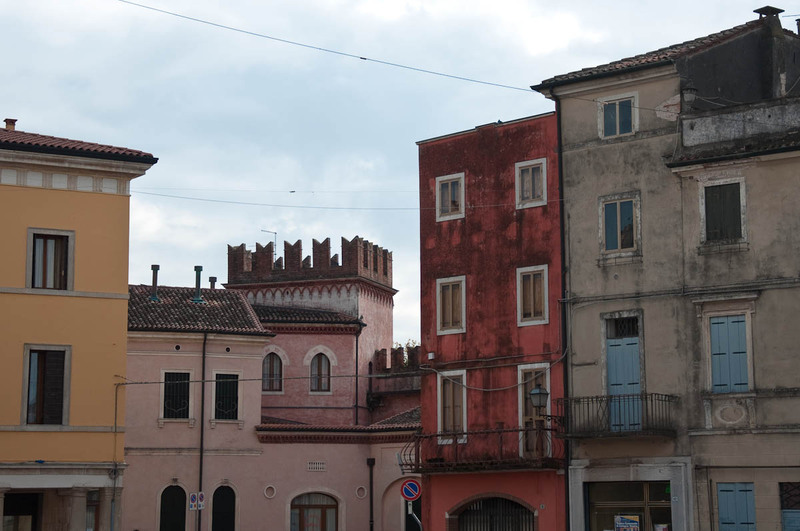 The first year that we were here, we were given a big tin box with a whole cake-size piece of mandorlato by our landlords. 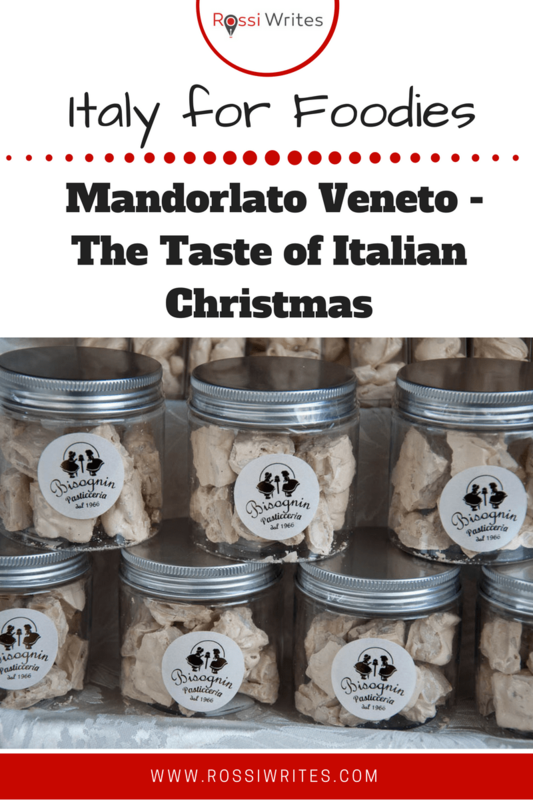 The second year, my husband’s former boss (the lovely lady that she is) gave him a large jar stuffed with pieces of mandorlato as a Christmas present. Then last year, we bought our own supply. I got it from the stall of one of the Cologna Veneta’s mandorlato producers at the Verona Christmas market. During the festive season, it is sold everywhere. For the best quality brands try the local delis and the forthcoming Christmas markets. If you don’t live in Italy, perhaps you can inquire at your Italian deli/restaurant or buy it online. No matter what, do give it a try. Just don’t bite into it (unless you have incredibly strong teeth). It is much nicer to let it melt on your tongue and then, once you reach the almonds, to crunch them to your heart’s content. Have you had mandorlato before? What did you think? In my humble opinion (and experience) it makes great presents for colleagues, friends and relatives. And it is also a very nice addition to the traditional Christmas lunch. As no matter which Christmas tradition you follow, italianising it a bit has never hurt anyone. See you there on the 8th; went a few years ago and was great fun, absolutely love Mandorlato.